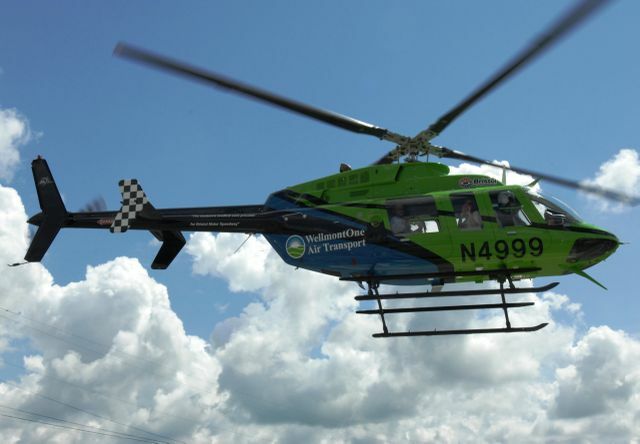 BRISTOL – WellmontOne Air Transport has acquired a faster and more fuel-efficient helicopter that will provide additional safety measures and amenities to enhance the high-quality emergency care for which it has always received widespread respect. The snazzy Bell 407 went into service earlier this month and enables pilots and crew members to continue serving the region with distinction through new technology. It will make flying the aircraft even better for those who play a valuable role in rescuing patients facing some of the most traumatic and life-endangering injuries and illnesses. 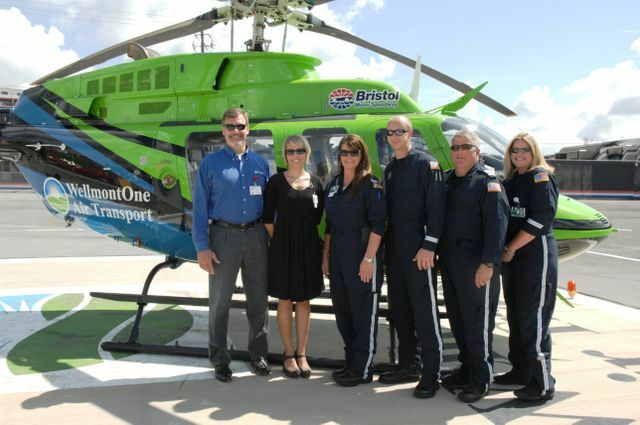 Wellmont Health System showed off the new helicopter during a news conference on Tuesday, Aug. 20, at the WellmontOne base at Bristol Motor Speedway. This aircraft, built by the same company that owns a facility in Piney Flats, can fly about 10 miles per hour faster than its predecessor and has a quicker lift off the ground with one less engine. The new helicopter, which operates with an engine built by Rolls-Royce, burns much less fuel, reducing environmental impact and creating valuable cost savings that can be applied to patient care. Additional features include a traffic collision avoidance system that alerts the pilot to other traffic in the vicinity and a radar altimeter that measures the altitude of an aircraft above the terrain over which it is flying. The helicopter also has improved rear visibility that enables flight nurses and paramedics to assist the pilot in looking for obstructions. Plus, the helicopter has an improved navigational system and a computerized start system that has simplified the process for the pilot. As was the case with the previous aircraft, the Bell 407 is equipped with night-vision goggles. PHI Air Medical provides the helicopter, pilots and mechanics, while Wellmont supplies the medical equipment and medical providers. Wellmont also supports the medical operations of the Med-Flight II program, which is run by the Virginia State Police. Anita Ashby, Wellmont’s system director of flight services, who supervises the flight team, is thrilled with the many attributes this helicopter will bring to the region. But she is just as proud that the delivery of care onboard and at the scene will remain at the same high level. Paramedics and nurses can complete and transmit 12-lead electrocardiograms and have the same cardiac monitors and defibrillators that are used in the emergency departments at Wellmont hospitals. Some of the other pieces of equipment include a ventilator, respiratory equipment, core temperature monitoring equipment, advanced and surgical airway supplies and an abundance of critical care medications. 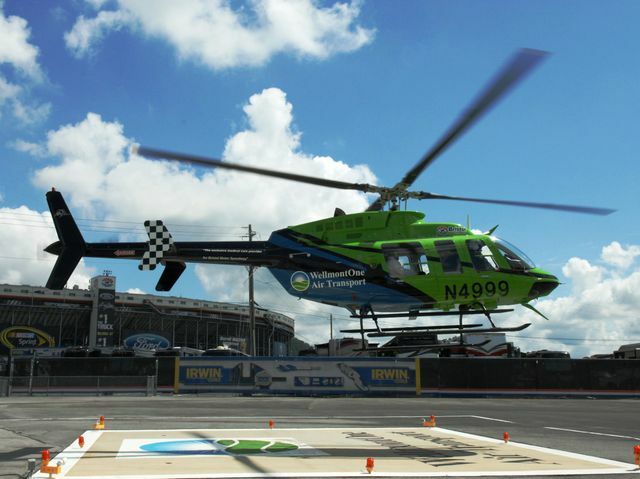 WellmontOne Air Transport lifts off from its base at Bristol Motor Speedway. Members of the WellmontOne Air Transport team pose for a photo outside the new helicopter. They are Dr. Ken Turner, Anita Ashby, Kim Nash, Matt Compton, Greg Maddox and Jessica Antonino. 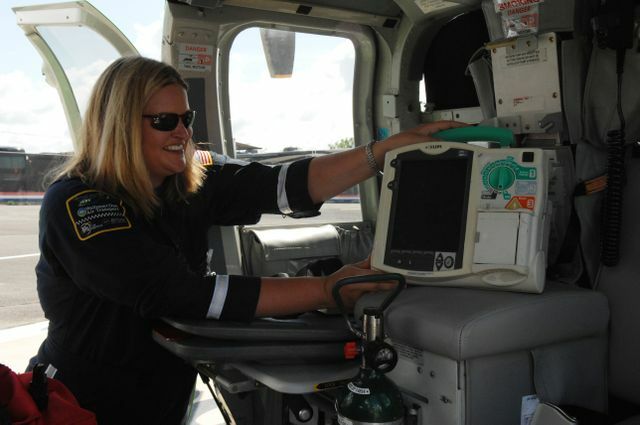 Jessica Antonino, a flight nurse on WellmontOne Air Transport, shows a 12-lead electrocardiogram machine aboard the helicopter. WellmontOne Air Transport is in the air and ready to provide high-quality care to patients.